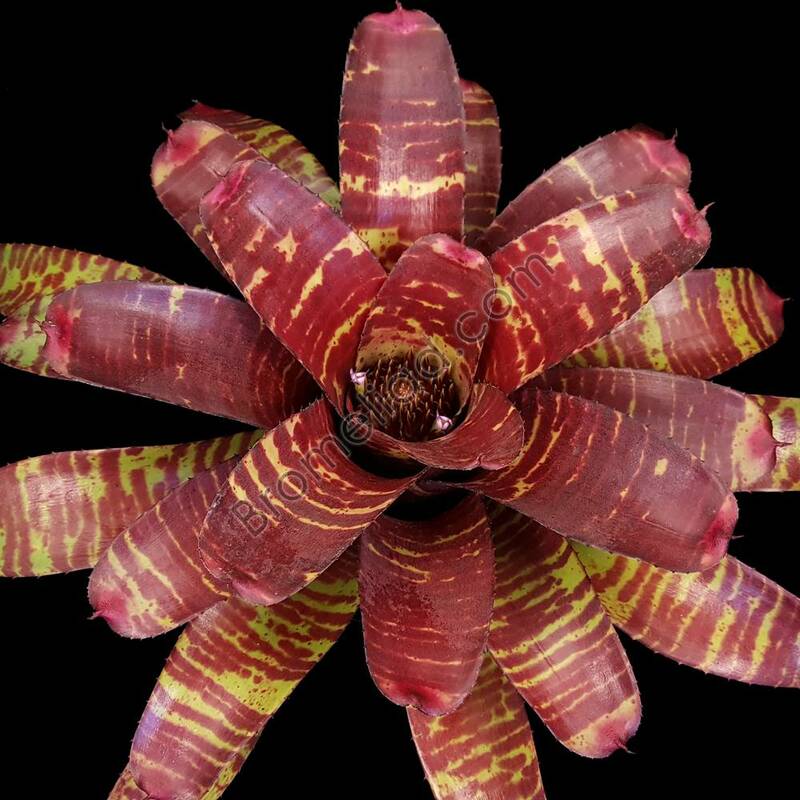 Neoregelia 'Touchdown' is a stunning cross by Grant Groves, believed to be from the same grex as neo 'High Voltage'. The leaves are lime green to yellow with heavy bold dark red/burgundy bandings and pink leaf tips. 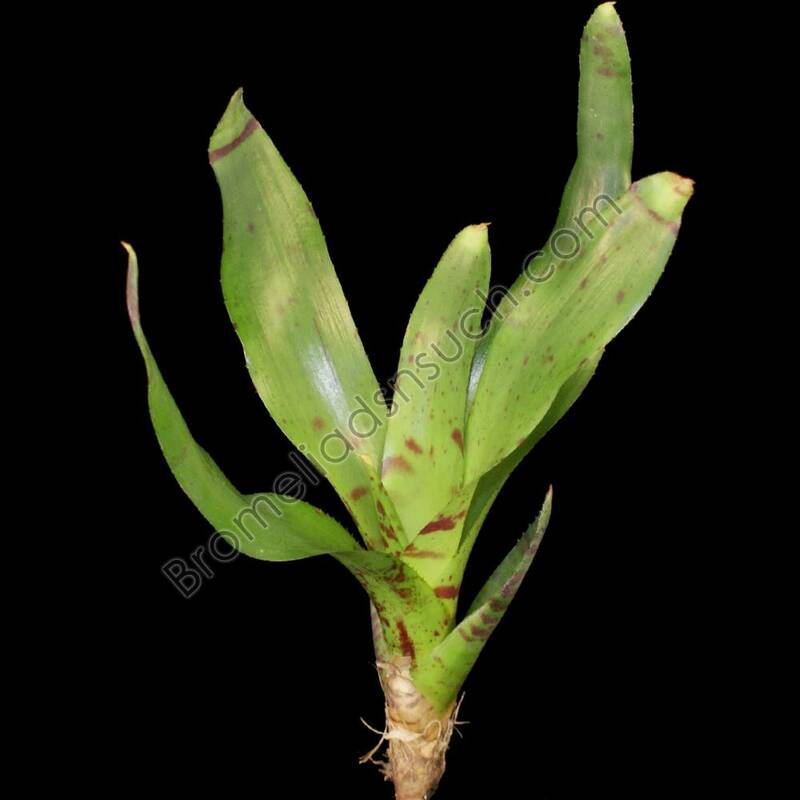 A durable plant that grows to about 15 inches wide. Maximum Size: H:8" x W:15"